You will win the race for best gift when you give this racing inspired pub sign to your groomsmen or a retiree. Full-colored design shows a bright red race car surrounded by several checkered flags along with the personal information you provide at checkout. 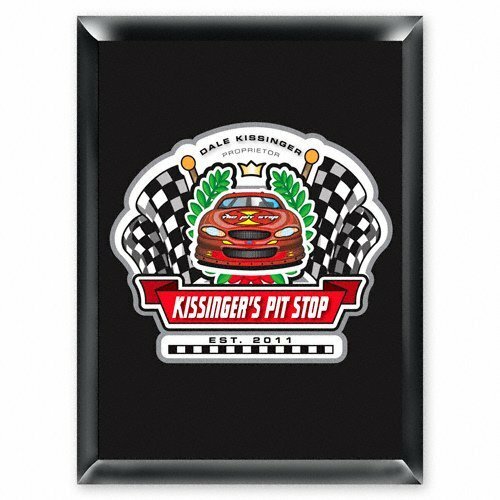 Racing Fans - Start your engines and declare your championship status by posting this great sign in the assigned pit stop pub!